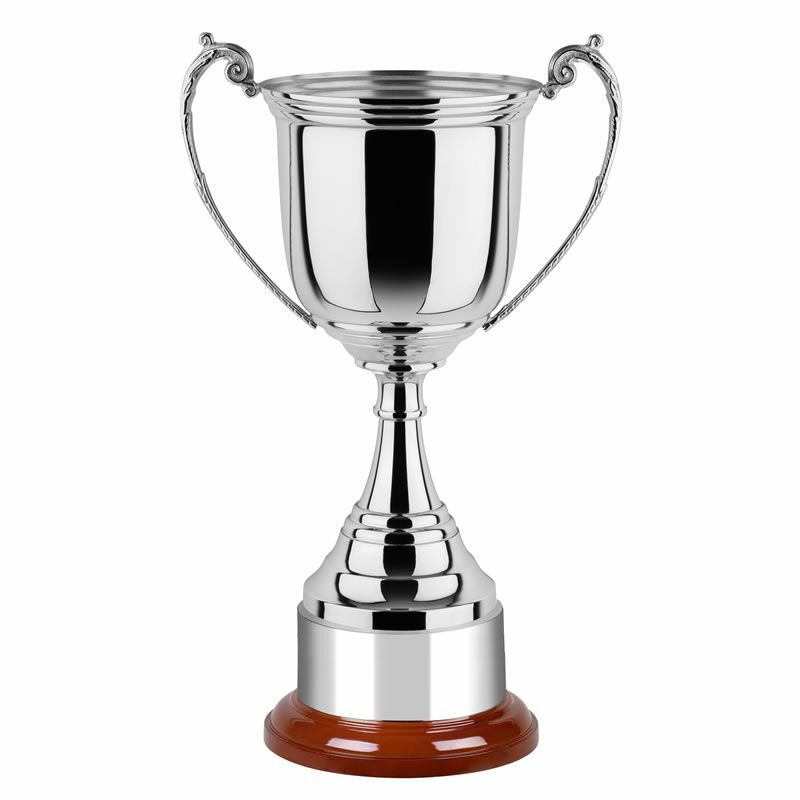 A quality silver trophy with large areas for engraving. Made in Britain, these nickel plated trophies have a bright mirror finish on the body and tapered stem. They are mounted on a rosewood finish circular base complete with plinthband. Text and/or logo engraving options available. Offered in four size options.